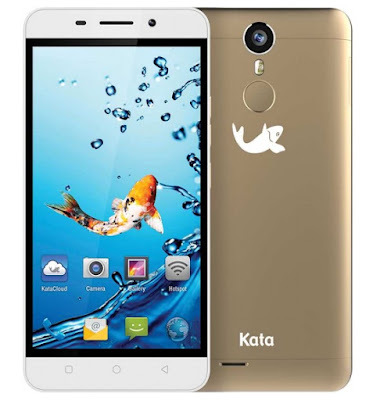 Aside from the entry-level C2, Kata Philippines is also set to unveil another device before the year ends, the Kata i5. The Kata i5 sports a display that measures 5 inches diagonally and has IPS technology for better viewing angles. It has a unibody design, a 9.3mm waistline and weighs about 155 grams. Under the hood, it is equipped with 64-bit octa core MediaTek MT6753 processor clocked at 1.3GHz each coupled with 3GB of RAM and 16GB of internal storage, making it one of the most powerful handsets from Kata to date. In terms of imaging capabilities, there is a 13MP module mounted on its back with LED flash for capturing everyday moments, and an 8MP in the front to take care of all your selfie needs. Speaking of back, there is also a rear mounted fingerprint sensor directly above the fish logo. If I am not mistaken, it is one the first two Kata products to boast that feature, the other one is the Kata Selfie, their upcoming flagship. Other known specs are dual SIM with LTE connectivity, 3000mAh battery with up to 180 hours standby time, and runs on Android Marshmallow straight from the box. Surprisingly, it will retail for Php7,999, which is far more affordable than its HK$1690 (Php10.6K) SRP in Hong Kong, that is more than 2.6K pesos price difference.